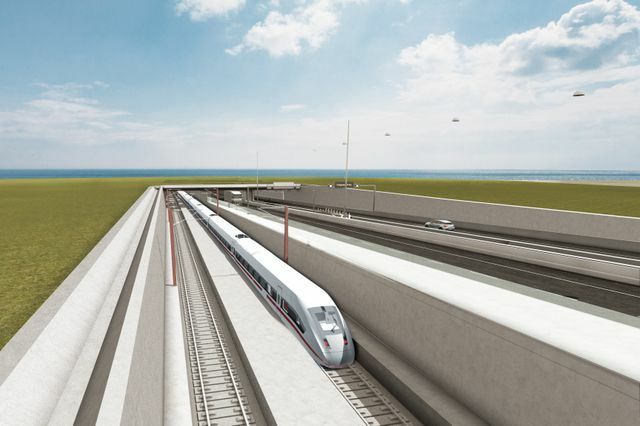 The Fehmarnbelt project, which when completed will be the longest immersed road/rail tunnel in the world, has today released a list of the prequalified engineering and consulting firms which will be involved through the design and build phase. The UK has representation on both the consulting framework and client side service contracts from the multi disciplined firms CH2M and Arup (within a joint venture with Ramboll). Mott Macdonald is also part of Sweco bid. Femern A/S has released a list of companies it has pre-qualified to bid for two framework contracts covering consultancy services for the Fehmarnbelt fixed link. The two lots include client consultancy services up to and during the construction phase through to the opening of the link and technical in-house consulting services. The project will create a fixed link between Rødbyhavn in Denmark and Puttgarden on the German island of Fehmarn. Once complete, it will be the longest immersed road/rail tunnel in the world.